Unique open cell foam in interlaced distribution is designed for superior sound absorption. It can stop the spread of sound wave and allow air flow through the ducting, perfect for reducing noise from fans and carbon filter systems. High-quality corrosion resistant galvanized sheet construction. 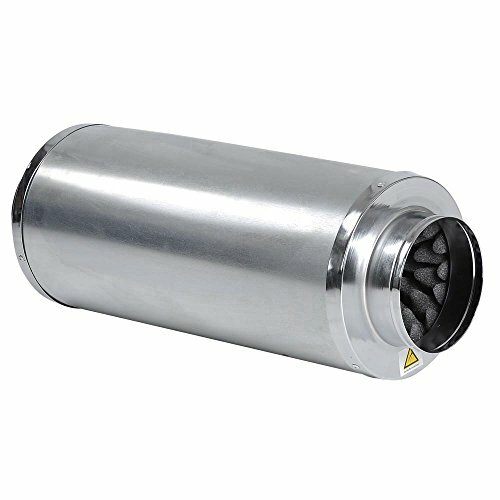 If the noise of your fan/blower is 50db, our muffler can reduce it to 25db. Moisture resistant - great for use in damp environment. This high-performance sound absorbing foam lining can reduce 50% noise! If you have any questions about this product by Unitech, contact us by completing and submitting the form below. If you are looking for a specif part number, please include it with your message.